Abeno Harukas is the highest building in Japan. 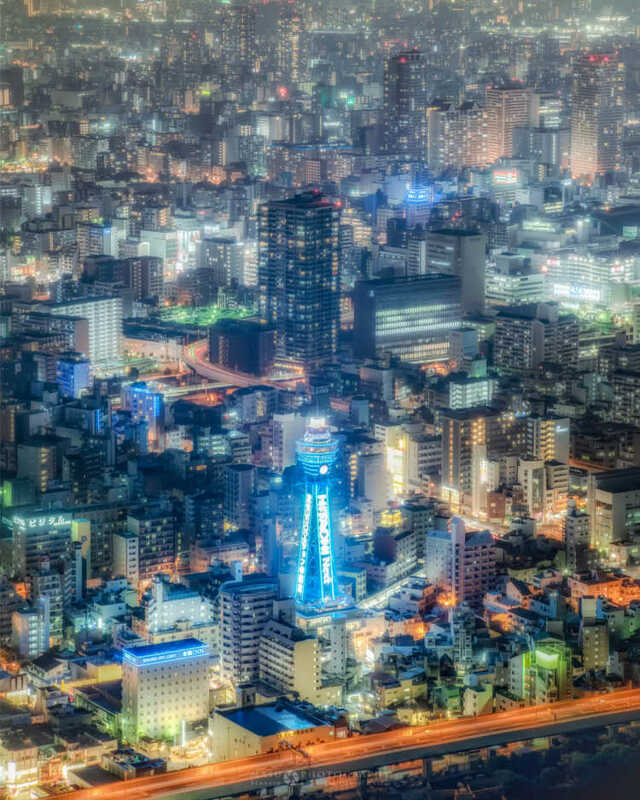 The night view of Osaka looked from here is amazing! On sunny day, you can see the beautiful sunset as a beginning, the golden hour, and then the night view on the whole surface under the building. The Walking In the Sky (300m High) While Observing the Superb View From the Glass Deck. In the bldg. Abeno Harukas, Harukas 300 is the stylish observation tower. The passageway is surrounded by glass from the floor to the top, and there is huge open ceiling structure in the center. 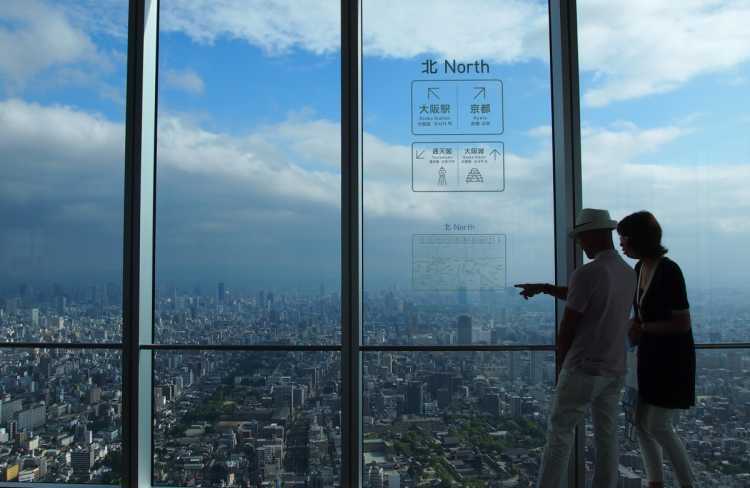 Osaka boasts the sky walking in 300m high with the superb view.